Για εκείνους που θέλουν να απολαύσουν τα αξιοθέατα και τους ήχους της πόλης Ναντού, το Sun Moon Inn είναι η ιδανική επιλογή. Από εδώ, οι επισκέπτες μπορούν να έχουν άμεση πρόσβαση σε όλα όσα η πόλη έχει να προσφέρει. Από τη βολική της τοποθεσία, η ιδιοκτησία προσφέρει εύκολη πρόσβαση σε κορυφαίους προορισμούς της πόλης. Το Sun Moon Inn προσφέρει επίσης πολλές εγκαταστάσεις για να εμπλουτίσετε την διαμονή σας στη Ναντού. Τα δωρεάν WiFi σε όλα τα δωμάτια, ημερήσιος καθαρισμός, παράδοση ειδών παντοπωλείου, ταχυδρομική υπηρεσία, ιδιωτικό τσεκ ιν/τσεκ άουτ είναι μόνο λίγες από τις εγκαταστάσεις που κάνουν το Sun Moon Inn να ξεχωρίζει από τα άλλα ξενοδοχεία στην πόλη. Το ξενοδοχείο διαθέτει 3 όμορφα διακοσμημένα δωμάτια, πολλά από τα οποία περιλαμβάνουν επίπεδη τηλεόραση, προϊόντα καθαρισμού, δωρεάν τσάι, δωρεάν ποτό καλωσορίσματος, λευκά είδη. Εξάλλου, το ξενοδοχείο διοργανώνει πολλά ψυχαγωγικά δρώμενα έτσι ώστε να έχετε πολλά πράγματα να κάνετε κατά τη διαμονή σας. Ανακαλύψτε ένα ευχάριστο μείγμα επαγγελματικών υπηρεσιών και μια μεγάλη ποικιλία ιδιαίτερων χαρακτηριστικών στο Sun Moon Inn. Τα παιδιά ηλικίας 4 – 6 ετών θα επιβαρύνονται με χρέωση TWD 400 όταν χρησιμοποιούν τα υπάρχοντα κρεβάτια. Διατίθεται χώρος στάθμευσης χωρίς πρόσθετη χρέωση από Δευτέρα έως Παρασκευή. Το Σάββατο, την Κυριακή και τις αργίες ο χώρος στάθμευσης είναι δωρεάν από τις 17:00 έως τις 23:00. Οι επισκέπτες που διαμένουν στο κατάλυμα για περισσότερα από 2 βράδια μπορούν να χρησιμοποιούν καθημερινά τον χώρο στάθμευσης χωρίς πρόσθετη χρέωση. I was travelling with two kids (2&9yr) and two elderly (over 65+), we all loved the hotel and room design, great location with only 5 mins walk to restuarants & convenient store. Warm hospitality provided by the staff and owner, also the breakfast was GREAT!!! I would highly recommend for family and friends! The Sun Moon Inn was an absolutely fantastic experience. 5/5 would highly recommended. The innkeeper was an extremely nice lady who went out of her way to make sure that we, a group of 6, had a great experience. It was also fantastic that we were able to buy a lot of the tickets for the activities around the Sun Moon lake at the hotel, making it very easy and convenient. The Inn has very nice decor and a great atmosphere. 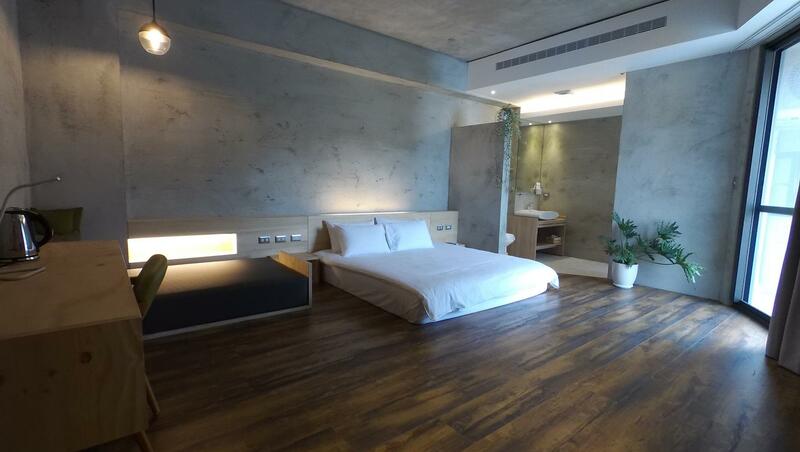 The rooms are also quite spacious and nice although there could have been more space to put your clothes and luggage but the space given was already very spacious for Inns/Hotels in Asia. However the best part of the Inn is their delicious, homemade breakfast made with local ingredients. Delicious, healthy, and aesthetically pleasing, the meals were a big highlight for us! The location is very close to the ferry port which is only 3-4 mins walk, the atmosphere and the environment is very chilled and comfortable, feel like staying home. The place is super clean and spacious. The host James is super friendly and he recommended many places for us to go. Nisa made good Breakfast too, I will definitely go back next time. Very close to the bus terminal and pier, a very convenient location with some restaurants and shops within a 5mins walk. The hotel is clean and neat. The room we stayed is very spacious with comfy beds. Excellent breakfast and very nice and helpful host. I'll definitely stay here again. 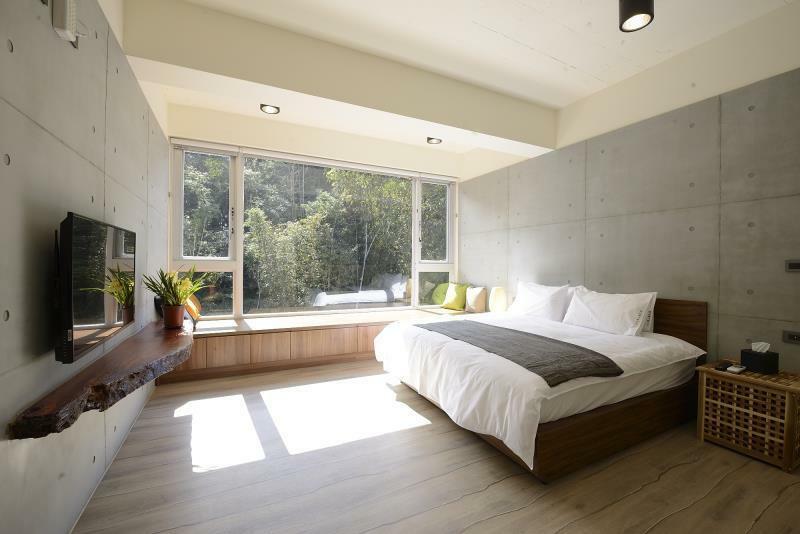 Super stripped-back open-plan concrete minimalist rooms (prepare to have no toilet privacy). Amazing staff. And as often mentioned, the home cooked breakfasts are a treat. This place has just been newly refurbished with a brand new wing added. We were fortunate enough to be offered a room in the new section of the property. 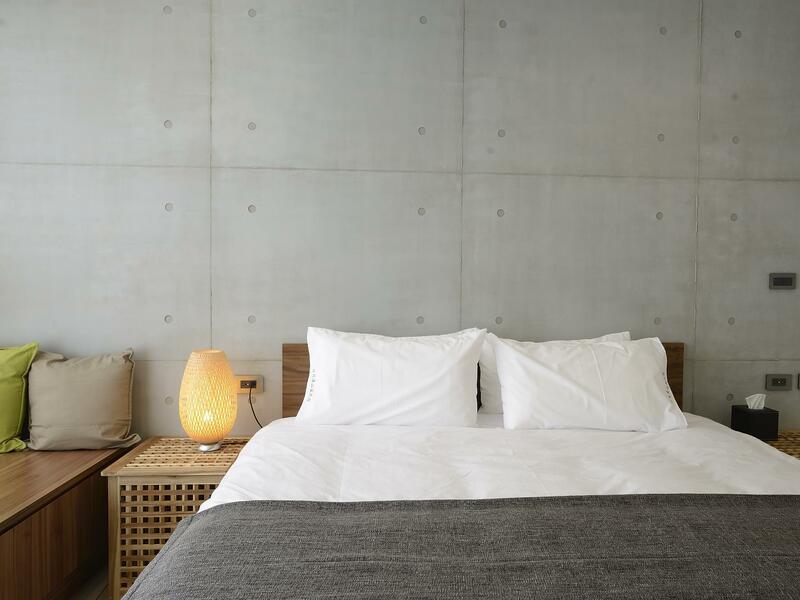 The room was modern and immaculate and the owners extremely hospitable. From the moment we arrived we were warmly welcomed and inducted into the local area with suggestions of things to do and places to dine at. They were on hand and kept in close contact to make sure our entire stay was comfortable. The property is a homely bnb style place. 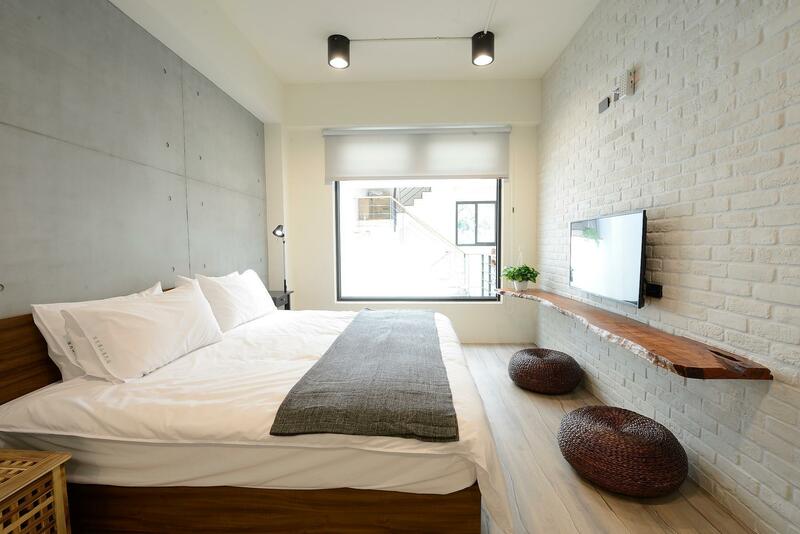 It is conveniently located within 5 minutes from the town bus stop which takes you to and from Taipei and Taichung. Would highly recommend to complete your trip to sun moon lake! We experienced such a warm welcome and stay here! Right near the lake, clean, spacious rooms with large windows. Beautiful family who were always available to help and answer questions. Recommend this place to everyone! I had an excellent time in Sun Moon Lake and a large part is due to the wonderful hostess, Nisa, at Sun Moon Inn. The strongest reason of why I stayed here was due to the lovely and airy interior in the room and in the atrium. I was not disappointed. I chose the room facing the greenery which had the large extended window bench seat. It was gorgeous! It is street-facing so be prepare for a bit of noise during the day, it is quite quiet at night. While the building does not have stairs and I stayed on the third floor, the driver Nisa recommended to me was kind enough to carry my suitcase up to my room. They currently do not have a kitchen and are unable to serve food but I am told that they are extending the building and is planned to be completed next year around October. Nisa was very thoughtful and brought up tea to my room on several occasions. She would also help to recommend places to go, how to get there, and what to eat. She and her family live on the second floor and warmly greeted me each time. Nisa does not speak English but she uses a translator app. Her husband speaks fair English. I communicated in broken Mandarin and Google Translate. Everything worked out well! Sun Moon Inn is very well located and is in close proximity to food, the wharf, post office, visitor center, bike route, buses, and the Maolan Mt hiking trail. I would definitely stay here again! Very clean room, fancy amenities and great location. The couple who run the inn were very friendly and helpful. They served the best breakfast ever! It was my first time staying at a Bed and Breakfast and I am glad I chose Sun Moon Inn. It gives a homely vibe with friendly staff. I like that the room is very spacious with a huge window looking out to awesome greenery. I like the aesthetics- industrial grey wall, wood, and natural elements. I will recommend Sun Moon Inn to my friends! We had a great time at the Sun Moon Inn. Place is very nice and people are very kind. 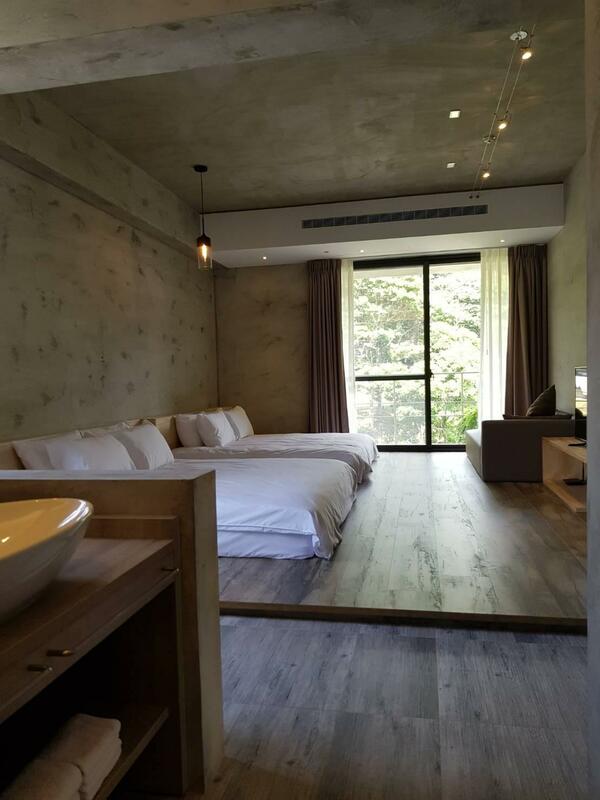 We recommend it to anyone who is looking for a peaceful and cosy moment at Sun Moon Lake. We had a great 2 nights stay at Sun Moon Inn. The place was so tastefully designed and furnished! The room we stayed in was very beautiful and relaxing. We are lucky to have met Nisa and really benefited from her hospitality. She took precious time to orientate and introduce us to recommended sights and activities at Sun Moon lake. We came back to our room with fruits and tea which really warmed our hearts! We will definitely come back to stay if we visit Sun Moon Lake again. 我们在Sun Moon Inn住了两晚住宿。 这个地方有非常高雅的设计和布置！我们住的房间真的非常美丽和放松。 我们很幸运遇到了Nisa，真正受益于她的款待。 她花了宝贵的时间来指导和介绍我们在日月潭的推荐景点和活动。 当我们回到我们的房间里，看到了招待的水果和茶，真的温暖了我们的心！ 如果再次到访日月潭，我们一定会再一次选择住 Sun Moon Inn. Shueishe Visitor Center Bus Station στα 0.21 χλμ.